401k plans represent the bulk of Americans retirement savings. Unfortunately, plan sponsors and providers provide very little actionable or timely advice on how to handle your retirement plan. On these pages we offer free asset allocation suggestions each quarter. We also offer free retirement planning articles to help you retire better. Many people treat their retirement plans with a “set it and forget it” approach. While this can work during bull markets, it is dangerous other times. Approximately one-third of the time, markets are declining or moving sideways. Those are the times a slightly more active asset allocation approach can help. 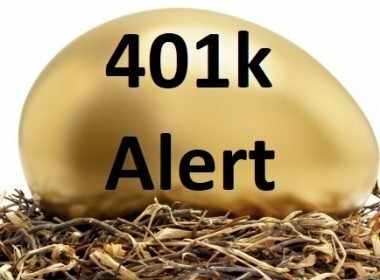 We have introduced our 401k Alert Service because we believe the next decade will have several severe pullbacks and many choppy periods. It is entirely possible that the indexes, while volatile, offer a very low total return for the next decade. For only $99/year, our 401k Alert Service provides real-time suggestions on when to update your asset allocation. Timely asset allocation shifts just a few times per year can cut your risk and improve your plan’s performance. Learn more how our 401k Alert Service works.